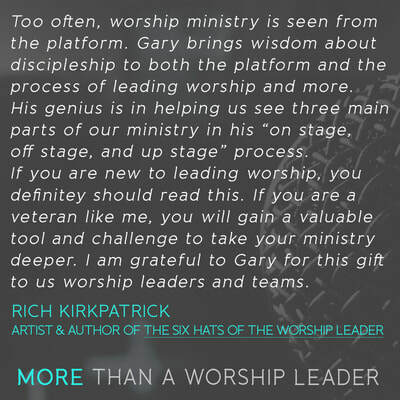 ​More Than A Worship Leader is a challenge and encouragement to those who lead worship to be more. 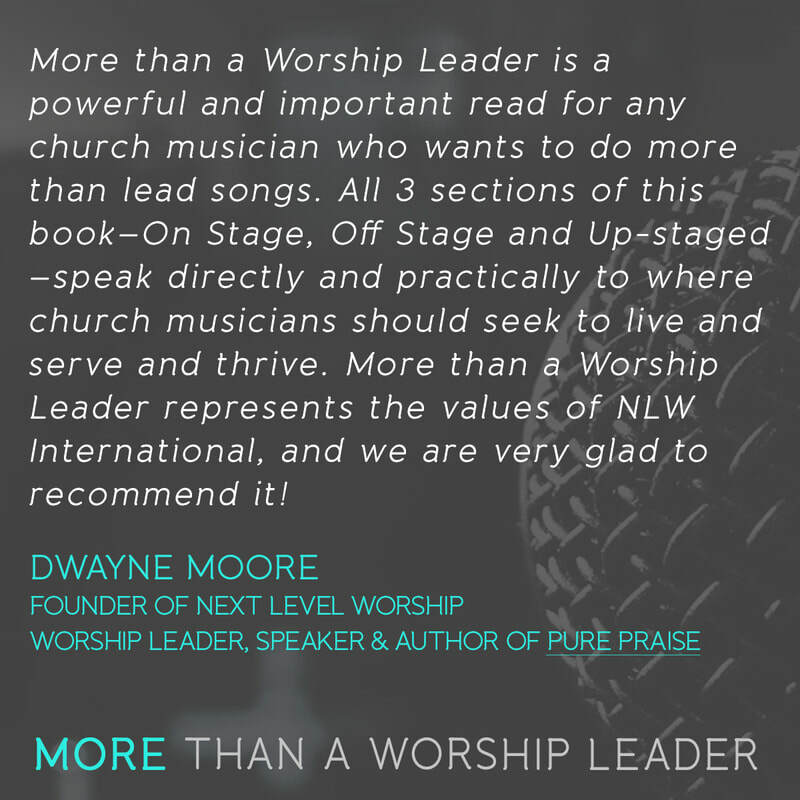 In today's church world, it's easy to get caught in the trap of performing for people, instead loving them off and on the stage. 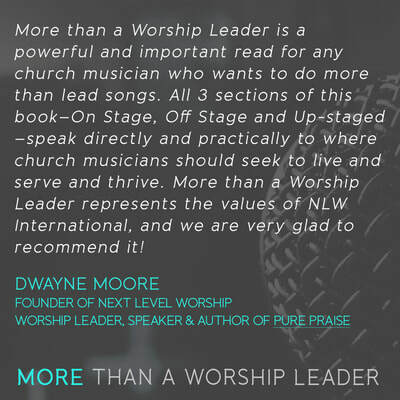 This book explores these dynamics off stage, on stage and even promotes the idea of being up-staged as a worship leader. 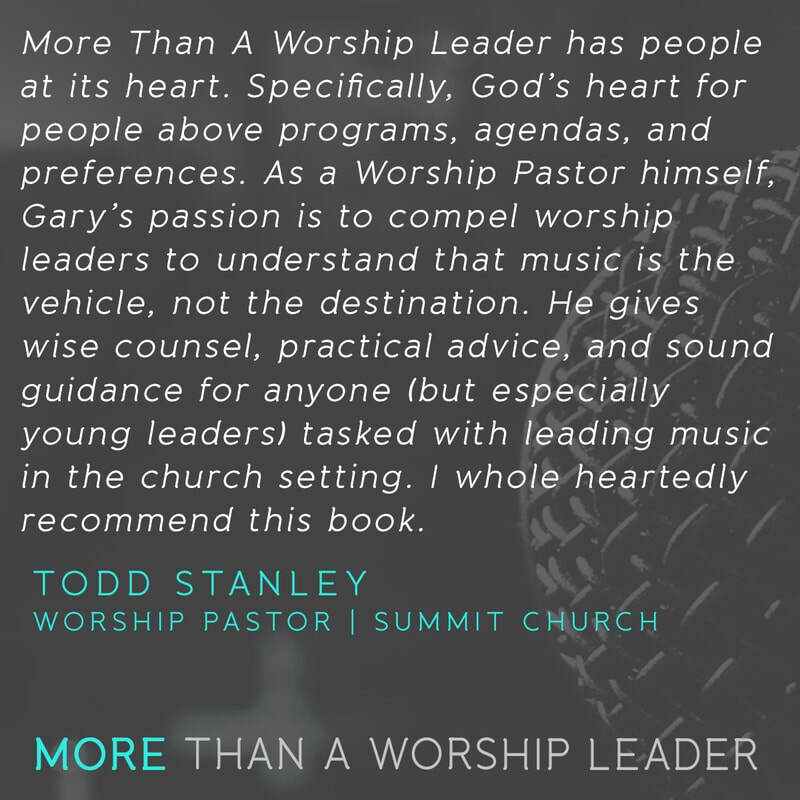 In an age when worship leaders are known primarily for their skill and style, this is a call for them to be known more for their heart. 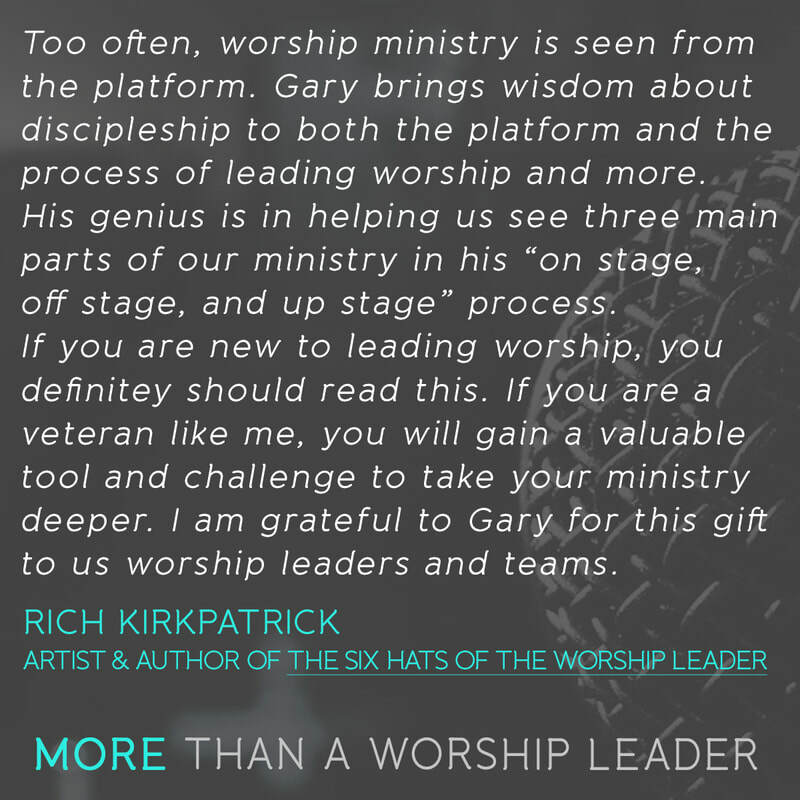 Gary Durbin has been leading worship for more than 20 years and has been in full time local church ministry for over 15 years. 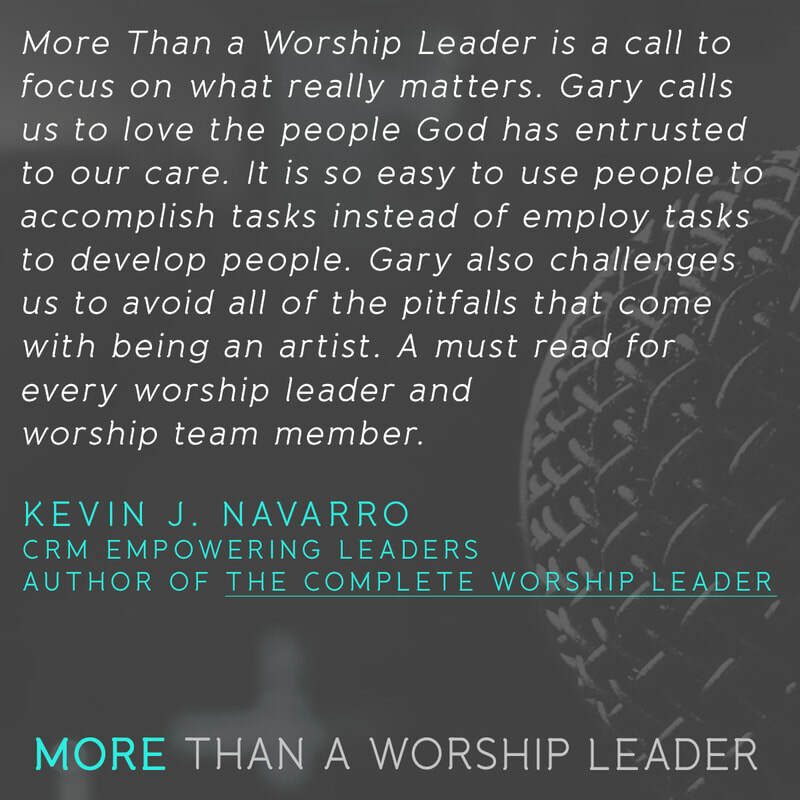 The philosophies and insights of this book are a product of his experiences in multiple ministries and churches he's led in and been a part of. It is a valuable tool for those who are just getting started and a great reminder for those who are veterans. 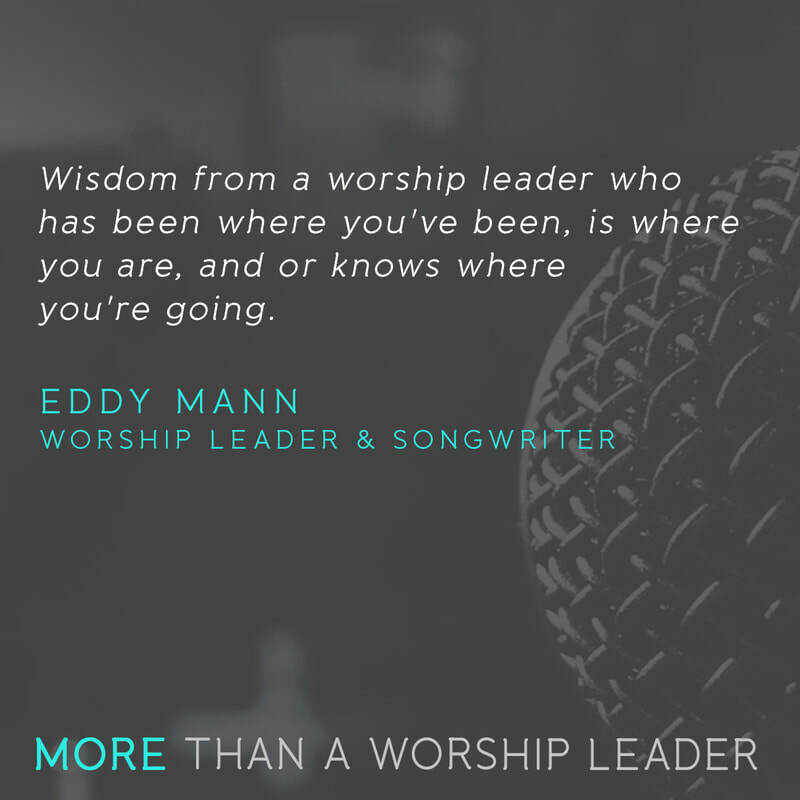 With discussion questions at the end of each chapter, it's a great opportunity to grow with those on your worship team as well. 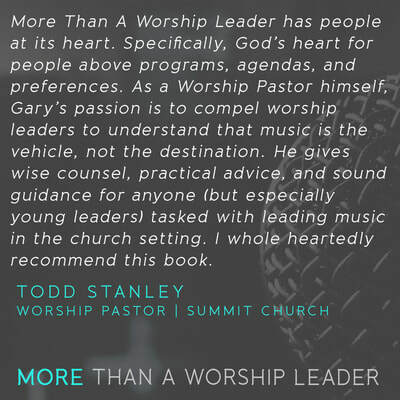 The heart behind this book is clear. It's not about a stage. It's not about a title. It's not even about a song. 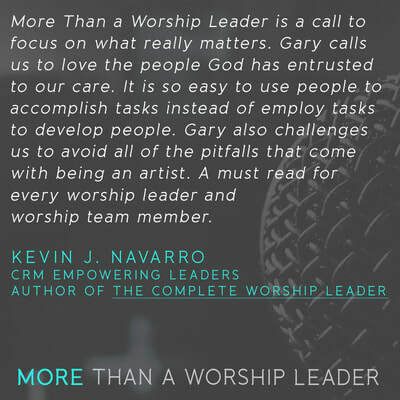 It's about loving God and loving people. Don't settle for being in front of people. Be in the lives of people. 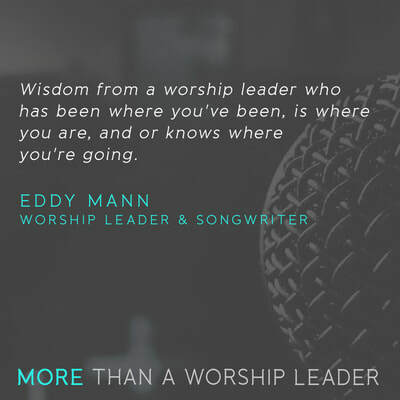 It's so much more than a song and you can be more than a worship leader.